This is the one of the stories that I told in the Bardic competition a couple of weeks back. It is a re-telling of an old folk-tale that is based (somewhat) in history. More on that and some links at the end of the page. 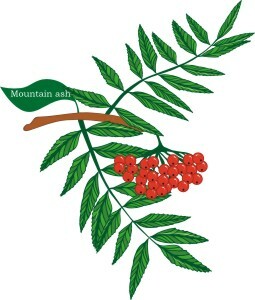 Bohemia, when the Czechs climbed over the mountains and first lived in the land, was rich in fertile soil and plenty of water, many trees and meadows, but the precious metals were quickly mined out and by the time of Charles IV of Blessed Memory, King of Bohemia and Holy Roman Emperor, even silver was scarce and expensive. In Prague in that day there lived a boy, Josef, (YO- sehf) and there lived a girl Maria, called Mařka (MUSH-ka). They played together, learned their letters together and quarreled, as young things do, and grew to adulthood. The girl’s mother loved her dearly, and scrimped and saved to buy silk thread to make her a wonderful veil for her wedding day, for the Holy Corner of her home, and to pass to her own daughters. The boy’s father loved him well, and taught him his own craft of making wonderful jewelry, everything from the smelting of the precious metals, to the setting of beautiful gemstones, so that he could pass the craft to his own sons in due time. Josef and Mařka were married, for they loved each other dearly, despite the quarreling, or maybe because of it, and were very, very happy. Mařka wore the silver veil on her wedding day and then hung it in the Holy Corner of her home, as her mother had dreamed. As young people do, they dreamed dreams for themselves and for their children, for certainly they would be the wonders of the world! Josef and Mařka gave each other a son, then they gave each other a 2nd son, and then a 3rd son, but never a daughter, and then Mařka died, leaving Josef with his small boys and dreams shattered by her loss. Josef made a small box of cedar wood and covered it with beautiful silver work, and placed the silver veil in it, for it hurt his heart to see it hanging in the Holy Corner of the house by Mařka’s picture. Each day, Josef worked in his jeweler’s shop, laboring to earn the money to feed and clothe and school his sons. Each evening he taught his sons their letters and to grow to be good and godly men. …but after they were finally asleep, he would go to the Holy Corner and open the little box and weep, saying “Mařka, how will I fulfill our dreams without you?” …and he would wipe away a tear, and sigh, and close the little box and go to his rest, alone. The years rolled on and the oldest son followed his father in the craft of the jeweler. The second son was clever and studied to become a priest. 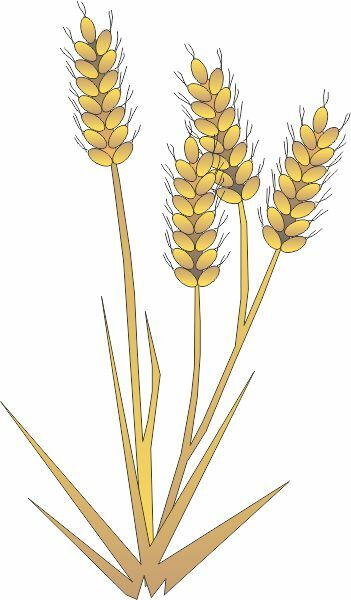 The third son, who had always been a happy child and the light of Josef’s life, found his own love, the daughter of a prosperous barley farmer, and became a brewer of fine beer. …and still, each night, Josef would open the little box and speak to his Mařka, so far away in heaven, and wipe away a tear, and sigh, and go to his rest alone…. Josef’s hair grew grey and his son took over more and more of the work in their shop. 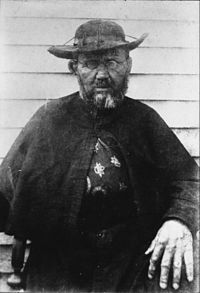 His second son became a parish priest and did well, as he was wise and compassionate, having learned it from his father. …and the 3rd son and his wife had a son of their own, a sturdy little one, who Josef doted on, in the way of grandfathers. …and he jumped up to run to her and woke himself, standing by the fire, wanting to run to her! He paced the floor in excitement, the whole night through and when his son woke in the morning he found his father bursting with the tale of this wondrous dream. Josef told his son every detail and that he meant to find this wonderful valley. …and Josef sighed and did as his son had said. After a while, though, he found that he could not forget the dream vision, and finally went to his son, the priest, to ask for advice. After Josef had told him the tale, the priest thought and then said, “Most gracious Father, surely this is a temptation of the devil to take you away from your work and home. It was just a dream. Mother is in heaven, surely, not here on earth. Go back to your work and I will say some extra masses for her rest. After some months, he stood one evening looking into the little box and thinking about the vision of his Mařka and instead of going to bed, he went out into the windy night to his 3rd son’s home. …and Josef sighed and did as they had said. …but after the winter comes spring, and the restlessness that moves even the oldest of dreamers… and Josef took out the little sock in which he tied his personal money and counted it. He went out and bought a pair of stout boots, a piece of canvas and a little donkey, come home and rolled up his featherbed and put it and a bag of barley and a little cookpot on the donkey and left his home without saying a word to anyone, to follow his vision. He was careful of his money for he knew well that “bez penize, nesou hospode!” (without money there is no hospitality). When the weather was fine he slept under a tree at night rolled in his featherbed. When the weather was not so good he put up his canvas and slept next to his little donkey under that cover. When it was truly foul he traded farmwork or pot-mending for a spot in a barn or haymow and so saved his pennies. …and so the spring rolled on. His sons were frantic at first, but then heard from neighbors of the father’s departure and they knew what he was doing. They sighed and shook their heads and went back to their work, hoping that he would come to his senses soon. …and the summer followed the spring and the weather grew hotter, then began to cool towards harvest, and his barley was low in the sack… and Josef was still hunting his dream. Then one day he was in the mountains north of Podhory, almost to Kutna Hora, and he was climbing a steep path that took his breath. The stone of the cliffs frowned down on him and clouds covered the sky. He thought to himself, “Perhaps my boys are right and I should go home and forget about the vision,” but he kept on climbing with his little donkey right behind. The clouds began to break up and there was light ahead of him, so he climbed a little father, and saw the cliffs begin to open up. 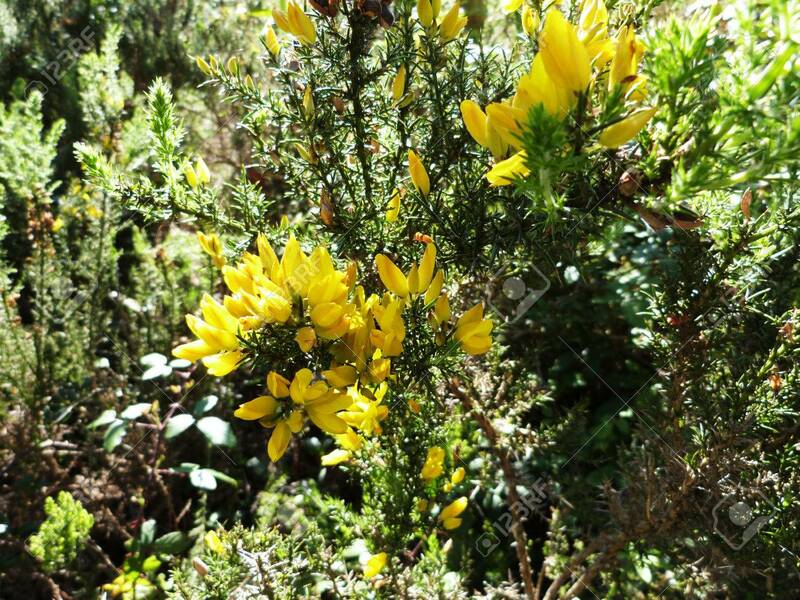 As he turned the corner, there was a beautiful valley full of lush grass and flowers. He took a few steps more and the sun came out from behind the clouds, filling the valley with light. …and there at the end of the valley he saw the silver veil waving in the breeze! His Mařka must be there! He dropped the little donkey’s lead and started to trot toward it, only to stop in his tracks and begin to laugh at himself through his wheezing, when he realized that the veil was a waterfall, sparkling in the sunshine, dazzling his eyes. 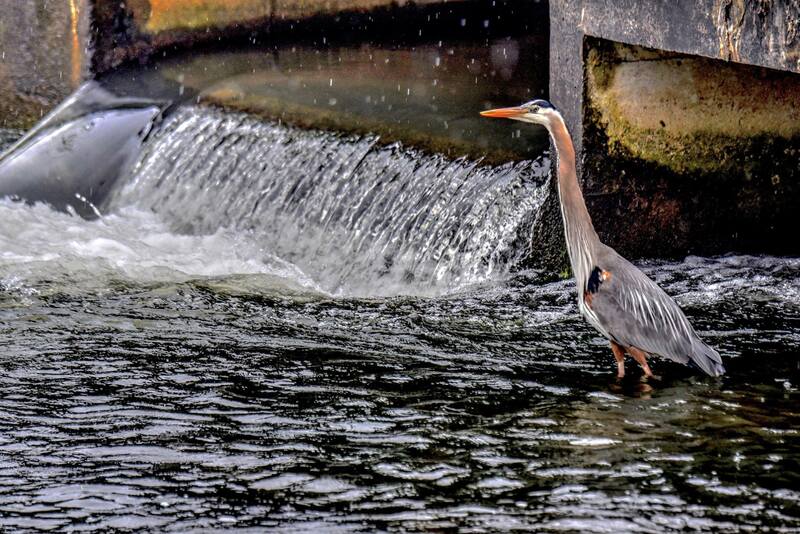 As he went to toss another rock into the water he stopped and stared at what he had in his hand. “That… is that… is that silver ore?” He trotted back down to the little donkey and pulled out some tools and tested the rock. Yes, it was! …and trotted back up to the waterfall and tapped and tested all the rock around. Josef slept by the waterfall that night, after thinking hard. In the morning, he packed up his things and took the little donkey with him to a village he had passed through on his way up into the mountains. He inquired as to who owned the little valley, then asked directions to the home of the Baron who owned it. When he got to the Baron’s, he inquired of the steward whether the little valley might be sold and how much it would cost to buy it, as he had taken a fancy to it. He was told that it would cost thirty dukati, 30 golden wheels of the king, which was a lot of money for a small parcel of land. He said that he would return with the money very soon, and headed back to Prague. When Josef arrived you can imagine the scolding he got from his sons! I don’t have to tell you that they were unhappy with the way he had disappeared, and for so long! He listened to them, all three, and played with his little grandson, and ate well of the food that his daughter-in-law cooked for them all, and just smiled. In the evening when everyone was heading home to sleep he went to the Holy Corner and took out the little box and went out again, to the house of a childhood friend, Francis, who had done well in business in his life. …and Francis gave him the thirty dukati and shook his head, thinking that perhaps his old friend had grown crazed with age, but what is a friend to do? So, before dawn, Josef packed up the little donkey, his featherbed, more tools, another small sack of barley and the thirty dukati and headed back out, after buying another pair of stout boots in the market, since the ones from the spring were nearly worn out, and a pair of stout saddlebags for the little donkeyu… and then thought, counted his pennies and bought a second little donkey and saddlebags to take with him. Josef went straight to the Baron’s home, paid the dukati, and left with the papers proving his ownership of the little valley, leaving the Baron and his steward shaking their heads at his folly. He went right to the valley and as quickly as he could picked up every bit of silver ore that he could find, then spent some time picking ore out of the rock behind the waterfall, just enough to fill all four saddlebags, and then turned right around and headed home just as the mountaintops began to whiten with the approaching winter. Josef got to listen to his sons scolding him again, but he took it in good part, and spent the winter, talking with his sons, playing with (now two) grandsons, smelting his ore, and then creating lovely things of it. In the late winter he paid back the dukati to Francis and explained what he had been doing for the previous year, based on his dream. Francis returned the little box with the silver veil and congratulated him. In the spring, he sold the last of the pieces that he had made of the ore, and this time, having explained to his sons where he was going and what he was doing, he left again, never to return to Prague. Josef lived out his life in a little house built near the head of the Silver Veil valley, developing the mine, giving his children and grandchildren much, so that they could fulfill their dreams, creating work and wealth that fulfilled many others’ dreams, and through what he paid to the king in taxes, helping to build the Charles Bridge, Karlstein and many other wonderful things. …and at the end of his time here on earth, he lay down in his little bed, holding the silver veil in his hands, received the last rites, and then went to be with his Mařka at last. At the end, a life lived well, that fulfilled many, many dreams. …and I know this to be a true tale, for I ate at their table, drank at their feast, and danced at their wedding! Author’s note – This story, although it is my re-telling of an old folk-tale, has an historical base. The town of Jáchymov, was the site of a large silver strike in 1512, which fueled a lot of the prosperity of the area for centuries. Agricola, the author of De Re Metallica, based a lot of his work on what he learned in this mine. The Silver Veil mine was the first of the mines in the area and the industry of the miner’s wives in making veils of silver lace may be the origin of the tale. Featured photo by Anja. Minus Tide at 6:37 AM of -0.1 feet. It’s marvelously sunny out there with clear, sharp shadows! 50F, the wind is still, AQI9, UV6. The pollen count is registering “high” today. The chance of rain tonight into tomorrow is dropped and there’s almost none registering for a week out from here. I started yesterday with computer housekeeping after falling down a Pinterest rabbit-hole that delayed the newsletter. It took a couple of hours, by which time Tempus was up and had made us coffee and sandwiches. We rounded that off with the last of the mini-eclairs that he picked up at Walmart, which were surprisingly good. The sun came out around 5pm and the shop heated up surprisingly fast. We didn’t want to open the front door with us being closed, but we opened the back. I took a nap late in the afternoon since I had gotten up a bit early for when I got to sleep, and then spent the evening working on newsletter frames. I really didn’t sleep well, and today is the green screen photography over at the library. I have to be over there are 9:30 and Tempus hasn’t even gotten the pieces down and out to the car! Yikes! He’ll have the shop open at 11, as usual. I don’t know how long I’ll be over at the library. Yes, we live in Oregon, where one of the cities has a Slug Queen contest each year… This guy was on the path down to the apartment, 4/13/16! Yesterday, it was a snail…. Today’s Feast is in honor of the date in 1938 when the super-hero, Superman, first appeared in Action Comics. He’s a cultural icon, probably one of the most recognizable. He’s gone through comic books, newspaper comics, radio shows, television (my childhood… flying on a table with a fan in front of him. <grin>) movies, etc. 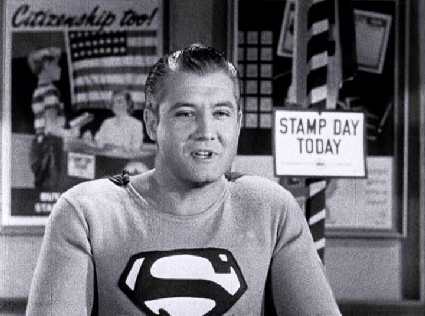 This is a good article: http://en.wikipedia.org/wiki/Superman The picture is George Reeves from the government film, “Stamp Day for Superman”. This is the Reeves who was the television actor, not Christopher Reeves who played Superman in the movies, and in a irony of fate, was paralyzed from the neck down in a riding accident and lived the rest of his life on life support. The shop opens at 11am. Spring hours are 11am-6pm Thursday through Monday. Need something off hours? Give us a call at 541-563-7154 or Facebook or email at ancientlight@peak.org If we’re supposed to be closed, but it looks like we’re there, try the door. If it’s open, the shop’s open! In case of bad weather, check here at the blog for updates, on our Facebook as Ancient Light, or call the shop. Waxing Moon Magick – The waxing moon is for constructive magick, such as love, wealth, success, courage, friendship, luck or healthy, protection, divination. Any working that needs extra power, such as help finding a new job or healings for serious conditions, can be done now. Also, love, knowledge, legal undertakings, money and dreams. Phase ends at the Tide Change on 4/19 at 4:12am. Full Moon – The day of, the day before, and day after the true Full Moon. “And better it be when the moon is full!”! Prime time for rituals for prophecy, for spells to come to fruition, infusing health and wholeness, etc. A good time for invoking deity. 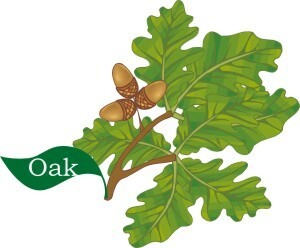 FRUITION Manifesting goals, nurturing, passion, healing, strength, power. Workings on this day are for protection, divination. “extra power”, job hunting, healing serious conditions Also, love, knowledge, legal undertakings, money and dreams. God/dess Aspect: Mother/Abundance/Kingship – – Associated God/desses: Danu, Cerridwen, Gaia, Aphrodite, Isis, Jupiter, Amon-Ra. Phase ends on 4/20 at 4:12pm. 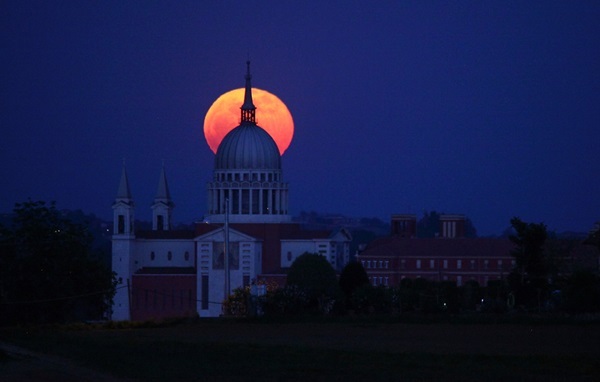 Full Moon arrives at 7:12 a.m. EDT tomorrow morning, but it looks completely illuminated throughout the night. It rises in the east shortly before the Sun sets this evening and reaches its peak in the south around 1 a.m. local daylight time. 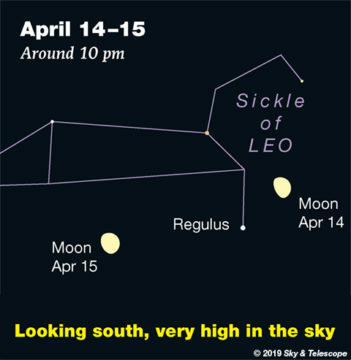 The Full Moon lies in Virgo, about one binocular field northeast of that constellation’s brightest star, 1st-magnitude Spica, shines between Spica to its lower right and brighter Arcturus about four times farther to the Moon’s upper left (for North America). 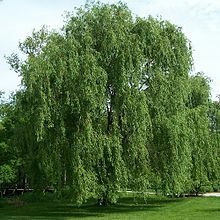 Celtic Tree Month of Saille/Willow, Apr 15 – May 12 – The Willow in the Tree alphabet stands for the female and lunar rhythms of life. She is water-seeking, thriving from preference on the damp margins of lakes and streams or across the low-lying water meadows. Water and the tidal movements of the sea are governed by the pull of the moon. 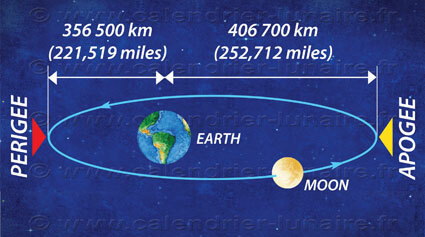 The moon in its monthly rhythms is female, contrasting with the male sun’s daily and yearly turnings. In several ways, the Celts held women in higher regard than we do today. On the material level, women were property owners, and whoever controlled the property controlled the marriage. Women of all types and ages appeared in the Celtic pantheon, the spiritual strength and life-giving qualities given by both female and male recognized equally. There were colleges of Druidesses – learned women and teachers – respected equally for their gifts of see-ship, often expressed through dreams, or night visions. Magical Associations: Romantic love, healing, protection, fertility, magic for women. Affirmation/Thought for the Day – Make this a powerful day! Journal Prompt – Personal Interests and Experiences – Retell a compliment that someone recently paid you. Explain how that compliment made you feel. 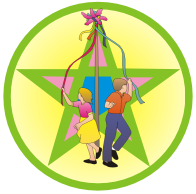 Beltane Magick – Constructing a Maypole (by Anja) – The Maypole of Beltane stands for the combination of the fertility of the Divine Masculine when joined with the Divine Feminine. No one knows the ancient roots of the ceremony, but the symbolism is obvious. Instructions here work for a Maypole for between 10 & 20 people. This is a lot of prep work, but massive amounts of fun! 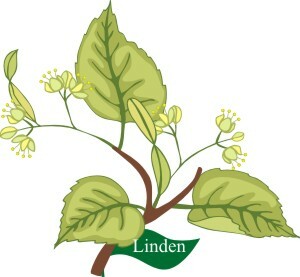 There are several parts to a Maypole: the pole itself, the foundation, the ribbons, the wreath and the topper. This can be of almost any material, but unless you live in a forest, where there are slender (2” -3”) straight trees with few branches, the most practical is a piece of closet pole from a lumberyard! Get it cut from 10-12 feet long. At the same time buy a length of 1/8 inch dowel. Drill a hole in one end at least 1 ½ inches deep. Drill 3 holes about 8” down from that end of the long pole, spaced equidistant around the pole. They should be to 1/8 inch diameter and about a 1/4 to ½ inch deep. Cut 4 pieces of dowel 8 inches long. Make sure that they are loose in the holes, but don’t just fall out. You will balance the wreath on these dowels. Save the 4th piece of dowel for the “topper”. You will need to dig a hole in the ground at least a foot deep, (better yet, two!) and be prepared to tamp the dirt back in very, very hard. Some people have tried to use “portable holes” for this, but since they are no more than 8 inches long they usually fail and someone gets knocked on the head! We had good success one year using a round, folding picnic table with an umbrella hole in the center and tamping the pole in about 6” or so into beach sand. It leaned badly, although it didn’t fall. (The table became the ritual altar). You can also construct a stand for holding the pole upright, but try it several ways, yanking on it, because when the dancers get going the pole had better not fall over. The stand will usually have to support the pole up to 3 feet off the ground to give it any stability. Brightly colored ribbon is the traditional material. I have heard of folks using macramé cord, rope and yarn for this, as well. We have used surveyors tape several times now, because it is strong, bright and inexpensive. Do *not* use florist’s ribbon with the cut edges! Those edges *cut* and you don’t want your dancers bleeding. This ritual doesn’t call for blood sacrifice. J Cut the ribbons ½ again the length of the pole, iow for an 8 foot pole, cut ribbons 12 feet long, one per person, but always an even number. You need a 12” wreath. This is often constructed of hawthorn, but again, no need for blood sacrifice, so most folks use a grapevine wreath base that you can get at a craft store and stick fresh flowers in it. 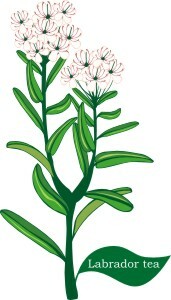 If you weave your own, you need a wire ring, 12” diameter, thread and freshly-cut flowers & herbs. 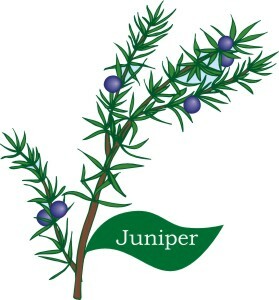 I often use rosemary, since it smells great and holds up. Tie your thread to the wire ring and then begin wrapping around and around (about 1” distance per wrap), laying a new branch of rosemary in when about ½ of the previous one is tied down. Try not to catch the needles or smaller branches in the thread. Tie off when about 1/3 of the way around, again about another 1/3 and when you get all the way around. As you go around a 2nd time, add at least 1 flower with each wrap, tying off with each 1/3 of the wreath. You can make a 3rd pass if you don’t add enough flowers on the 2nd pass. 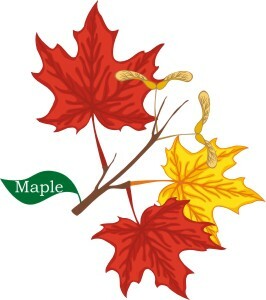 Maypole Topper – cones of various trees follow the correspondences. Gather 9 spruce cones (the long slender type), one larger cone (a large pine cone), and a double handful of alder/larch cones. 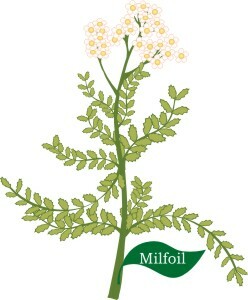 You also need a small bunch of babies’ breath. Drill a hole longways through the largest cone (two sets of hands are necessary!). Insert the last piece of dowel leaving about 4 inches sticking out the bottom of the cone. Using a hot glue gun, glue 3 of the spruce cones spaced equidistant around the larger cone, all pointing the same way. Glue 3 more with their bottoms touching the dowel and between the bases of the other spruce cones. Repeat with the last three on the top of the construct, only glue the babies’ breath at the very top between the cones. Fill in spaces with the alder cones. Get your hole dug first. Hang the wreath near the drilled end of the pole. Add your topper by inserting the dowel into the hole in the pole. Count noses for your group and tack as many ribbons on as there are noses as near the end of the pole as possible. Carefully insert the dowels into the other holes with the ribbons in 3 bunches between them, then set up the pole. 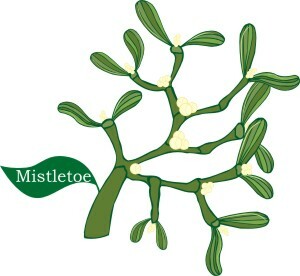 If you are careful as you lift the pole the wreath will drop onto the small dowels without dislodging anything. Patience or a tall enough ladder is required! Have them count off “1, 2, 1, 2…” then tell the “ones” to face left and the “twos” to face right. Go around the first person on the right, those on the inside ducking under the ribbon, then pass the next on the left and so on. Talk them through a bit of it and then get someone to sing or drum or whatever you have. As the ribbons weave around the pole the wreath will gradually drop. When you’re done, or everyone’s ready to drop, gather the ribbons in two bunches and tie in a “true love knot”, i.e. a square knot. It’ll be a bit of a mess, no matter what you do. Laugh, sing and play! Silliness – Signs and Notices – I went to a little hole in the wall restaurant: the sign read: Women are not served here. You have to bring your own. Featured photo by Girl in Water Photography. Minus Tide switching from evening to morning. Cloudy but bright. I haven’t seen any actually sun, but it’s bright enough for reflections from car windows to throw reflections into the shop. 59F, wind at 3mph, AQI6, UV5. There’s a possibility of rain on Friday and then a slight chance a week from now, but the next 10 days look to be mostly dry. Yesterday just flew past. We’re still sorting from around the compounding station. I have one tote that is all tools, and one that is all bagged herbs, plus there are still bottles that need to go up on the shelves. It’s going to take a lot more to get this done. After Tempus headed for Newport, I worked on research. 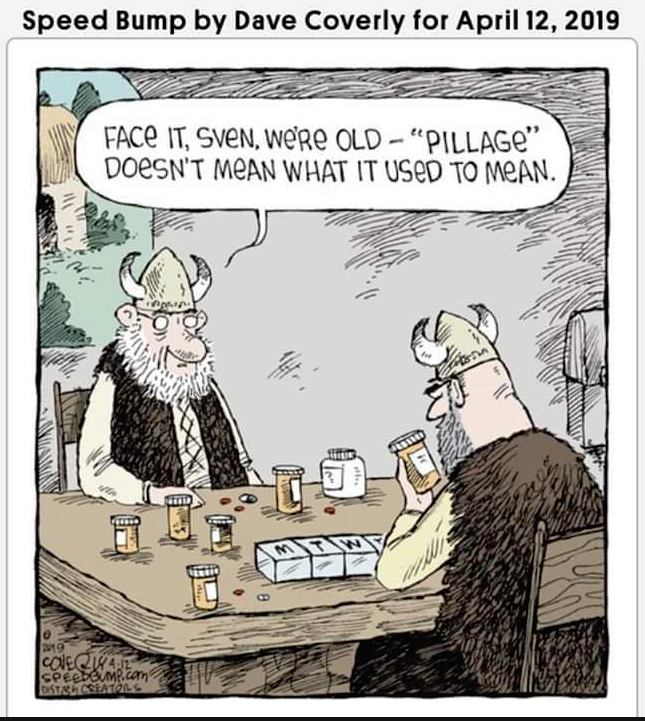 I’m starting a project on Norse foods. I got picked up just before 5am and by low tide we were passing the mudflats by Lint Slough. I sniffed something strange and suddenly realized I was smelling low tide! I couldn’t finish the route with Tempus. I was dealing first with a spasming shoulder and then my neck started in, so he dropped me back at home and went on. It was getting light by then. He was done by a bit after 7am. So, today is more on the herb area clean-up. I’m making progress, although it’s slow. 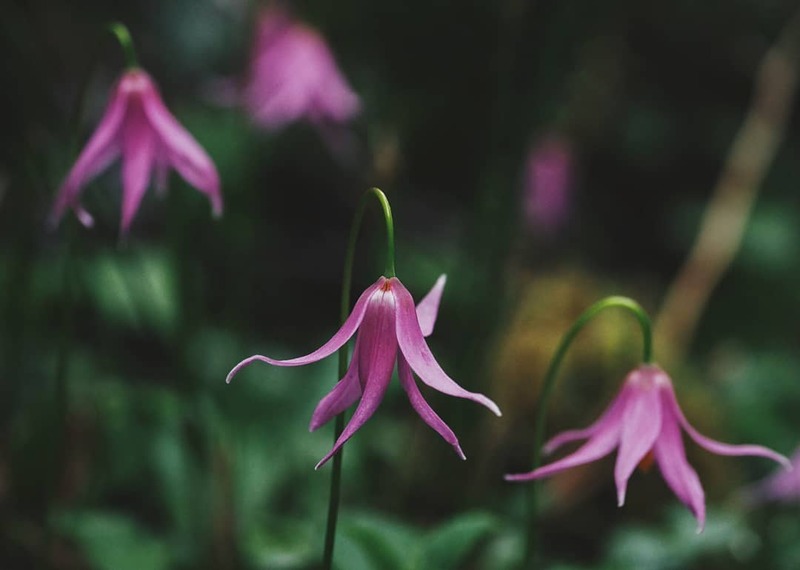 041619 Native Nodders, Wild Pink Fawn Lily – Jamie Marie of Girl in Water Photography. Today’s plant is Field or Scouring Rush Horsetail, equisetum sp. http://en.wikipedia.org/wiki/Field_horsetail,http://en.wikipedia.org/wiki/Equisetum The darned things are next to impossible to get rid of, although they’re fascinating in construction and growth habit and can be used, dried, for scrubbing pots and finishing wood. 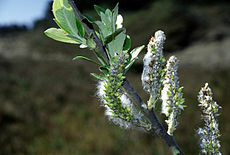 In Oregon they’re a noxious weed, since, while the plants have been used as a poverty food (early spring) they can be toxic to grazing animals and are dangerous to people who retain fluid, although the Romans used it both as a tea and a thickening powder. It can be used as a polish and a dye. 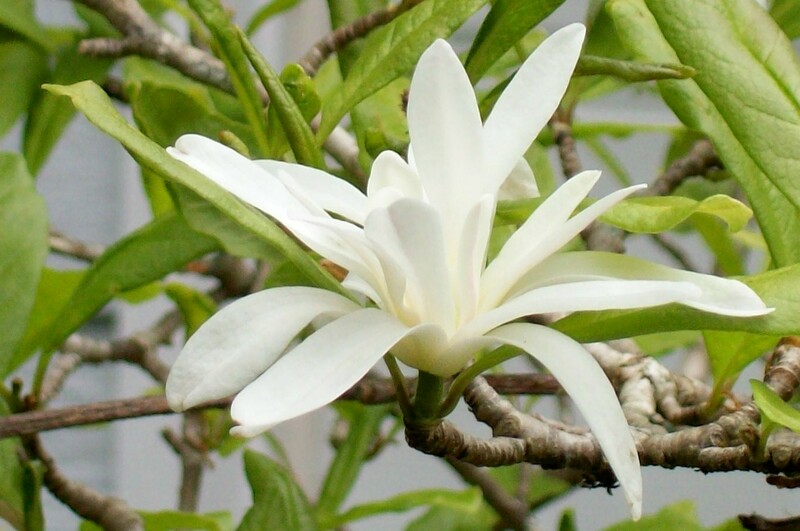 – Feminine, Saturn, Earth – This is best used in fertility mixtures, sachets, amulets, etc. Place in the bedroom for help in conception. 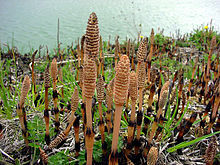 Whistles made of horsetail stems are used in snake charming. 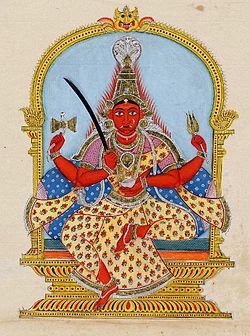 Today’s Feast is that of Machendrana in Nepal, supposedly an ancient and powerful rain god. 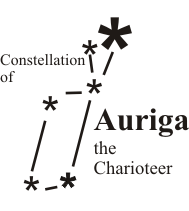 There’s a Chariot festival associated with this, but do you know, all of the online citations seem to come from one of two sources, since they all have the same wording and there’s nothing that I’ve found that says that this is anything but a modern pagan invention? One of the citations of this is Gerina Dunwich’s Wiccan Book of Days, the other seems to be an expanded wording of that. Hmmm…. Waxing Moon Magick – The waxing moon is for constructive magick, such as love, wealth, success, courage, friendship, luck or healthy, protection, divination. Any working that needs extra power, such as help finding a new job or healings for serious conditions, can be done now. Also, love, knowledge, legal undertakings, money and dreams. Phase ends at the Tide Change on 4/19 at 4:12am. 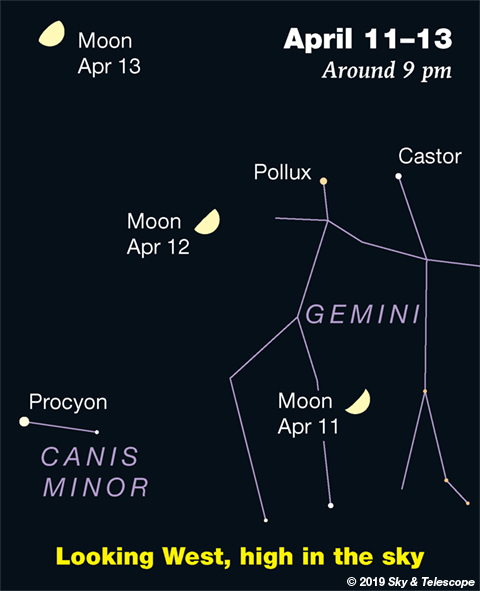 Waxing Gibbous Moon – From seven to fourteen days after the new moon. For spells that need concentrated work over a ¼ moon cycle this is the best time for constructive workings. Aim to do the last working on the day of the Full moon, before the turn. Keywords for the Gibbous phase are: analyze, prepare, trust. It is the time in a cycle to process the results of the actions taken during the First Quarter. During this phase you are gathering information. Give up making judgments; it will only lead to worry. Your knowledge is incomplete. Laugh. Analyze and filter. LOOK WITHIN. God/dess aspect: Maiden/Youth, but in the uncommitted phase, the Warriors – Associated God/desses: Dion, Dionysius, Venus, Thor. Phase ends at the Full on 4/17 at 4:12pm. Full Moon – The day of, the day before, and day after the true Full Moon. “And better it be when the moon is full!”! Prime time for rituals for prophecy, for spells to come to fruition, infusing health and wholeness, etc. A good time for invoking deity. FRUITION Manifesting goals, nurturing, passion, healing, strength, power. 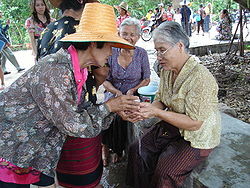 Workings on this day are for protection, divination. “extra power”, job hunting, healing serious conditions Also, love, knowledge, legal undertakings, money and dreams. God/dess Aspect: Mother/Abundance/Kingship – – Associated God/desses: Danu, Cerridwen, Gaia, Aphrodite, Isis, Jupiter, Amon-Ra. Phase ends on 4/20 at 4:12pm. 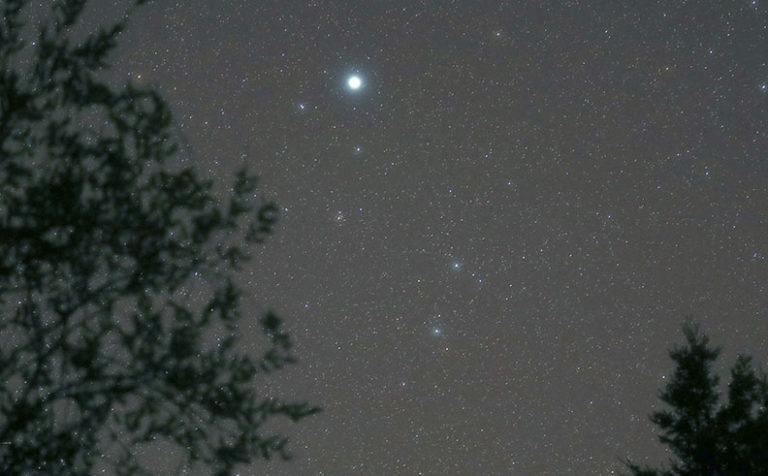 Vega, the bright “Summer Star,” rises in the northeast right around the end of twilight depending on your latitude. Exactly where should you watch for it to come up? Spot the Big Dipper almost overhead in the northeast. Look at Mizar at the bend of its handle. If you can see Mizar’s tiny, close companion Alcor (binoculars make it easy), follow a line from Mizar through Alcor all the way down to the horizon. That’s where Vega makes its appearance. Venus pokes above the eastern horizon about an hour before sunrise. The brilliant planet dominates the predawn sky as the rosy glow heralding the Sun’s arrival grows brighter. 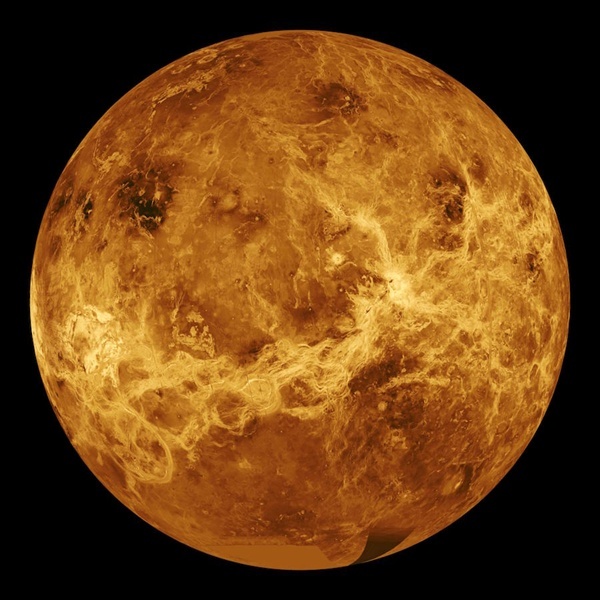 Venus shines at magnitude –3.9, nearly four times brighter than the second-brightest planet, Jupiter. When viewed through a telescope, the inner world shows a disk that spans 12″ and appears 85 percent lit. Saturn (magnitude +0.6, in Sagittarius) will be glowing pale yellow-white about 25° to Jupiter’s left or lower left. Moon in Virgo enters Libra at 4:22am. Affirmation/Thought for the Day – Freedom Demands the Right to be Wrong. Welcome to the Cottage, dear friends. The chaos is outside, more specifically, the children are off romping in the woods busily building their tree fort. Pull on a pair of gardening gloves and join me outside. Beltaine! At last winter is well and truly behind us and we look forward to the ever lengthening and warming days. The time between Ostara and Beltain has been a time of busy preperation for enticing the Earth to bring forth Her fertility. Ground has to be turned and tilled to receive seeds, vegetable beds need to be prepared, and fertilising mulches turned into the soil. The pastoralists are also busy at this time, turning the young herds out into their spring pastures and getting summer pastures prepared. We are, in this span, busy, busy, busy like our bee friends. Is it any wonder then, that at Beltaine, when the trees bloom and early cold weather crops are ready, we take a bit of time for a celebration? And, seeing’s how “Spring is in the air,” is it any wonder that after the long months of winter, and until recent times the spectre of want, our celebrations are wild and exhuberent, life affirming and spectacularly joyous? This year, life is imitating Witches Art rather closely, for the museum where I work has been busily preparing for an American Museums Association accreditation committee visitation. The span between Ostara and Beltaine has been dedicated to ensuring the museum’s grounds (buildings, artefact collections, and exhibit spaces) were prepared to receive the seeds that accreditation will help grow, that is an enlarged research grant pool (most people who give you money want that official “gold seal”…go figure…), an easier procedure for borrowing 17th century period pieces for exhibit (again, people lending you one-of-a-kind pieces want that AMA stamp), as well as the knowledge that the museum we all work for has gotten a nod from others in the profession for developing a museum with the highest professional goals and standards (everyone loves a job well done). And, believe you me, we will celebrate when the visit is completed, for this year’s Cinqo de Mayo party is going to be a big stress reliving “blow-out.” I wonder if we will play Pin-the-Mustachio-on Roger again? 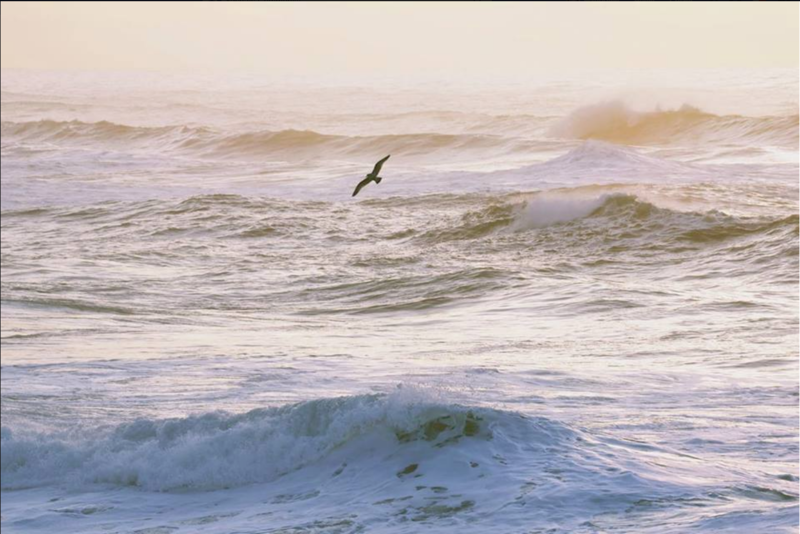 Featured photo by Ken Gagne, Minus Tide at 5:16 PM of -0.1 feet. It’s nicely sunny and finally drying, but the sky is actually covered with cloud. It’s sunny *through* it! 55F, wind at 6, AQI12, UV4. There’s a small chance of some showers this evening and then dry through Friday and that’s not a large possibility, either. I was on tenterhooks for so much of yesterday that it truly passed in a blur. The part that stands out is that Amber Connection came in with some new stone products. We’re stocked back up on power bead bracelets and semi-precious stone hearts and pendants. We’ve got a bit of new shungite plus a whole bunch of silk pouches that we haven’t had for awhile. By 5pm it was looking like the fire was getting contained and that the towers would stay intact, but what a heart-breaking thing to have happen….. …and this morning it looks like the three rose windows survived. One’s going to need quite a bit of repair, but it’s still there. Class went well last night. We’re almost done with the section about rituals in general. Other than that…. I really don’t remember anything else about yesterday other than keeping up with the news about Notre Dame…. Today is the day we’re closed. I’m kinda hoping to get something major done, maybe the rock cart, maybe some inventory. I don’t know, but we do have the paper run tonight. 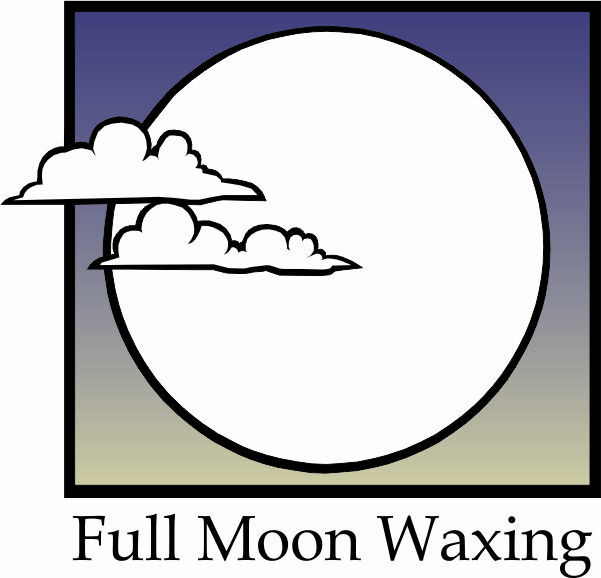 Waxing Moon Magick – The waxing moon is for constructive magick, such as love, wealth, success, courage, friendship, luck or healthy, protection, divination. Any working that needs extra power, such as help finding a new job or healings for serious conditions, can be done now. Also, love, knowledge, legal undertakings, money and dreams. Phase ends at the Tide Change on 4/19 at 4:12am. 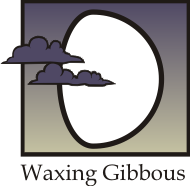 Waxing Gibbous Moon – From seven to fourteen days after the new moon. For spells that need concentrated work over a ¼ moon cycle this is the best time for constructive workings. Aim to do the last working on the day of the Full moon, before the turn. Keywords for the Gibbous phase are: analyze, prepare, trust. It is the time in a cycle to process the results of the actions taken during the First Quarter. During this phase you are gathering information. Give up making judgments; it will only lead to worry. Your knowledge is incomplete. Laugh. Analyze and filter. LOOK WITHIN. God/dess aspect: Maiden/Youth, but in the uncommitted phase, the Warriors – Associated God/desses: Dion, Dionysius, Venus, Thor. Phase ends at the Full on 4/17 at 4:12pm. As <<< Arcturus climbs the eastern sky these evenings, equally bright Capella >>> is descending high in the northwest. 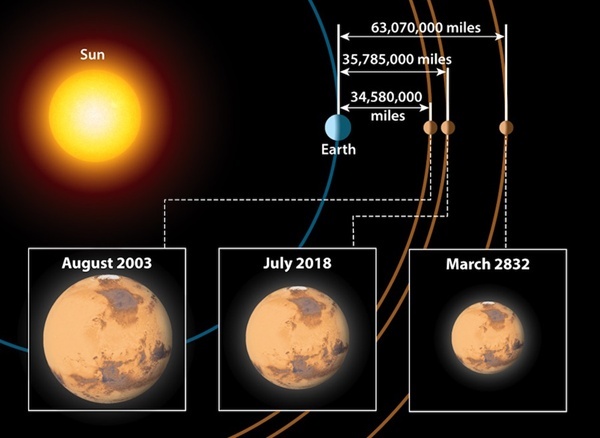 They stand at exactly the same height above your horizon at some moment between about 9 and 10 p.m. daylight-saving time, depending mostly on how far east or west you live in your time zone. How accurately can you time this event for your location? Like everything constellation-related, it happens 4 minutes earlier each night. Jupiter (magnitude –2.3, at the feet of Ophiuchus >>> ) rises in the southeast around midnight or 1 a.m. daylight-saving time. It shines fairly high in the south before the beginning of dawn, so that’s the best time to observe it telescopically. Set up your scope about two hours before your local sunrise time. 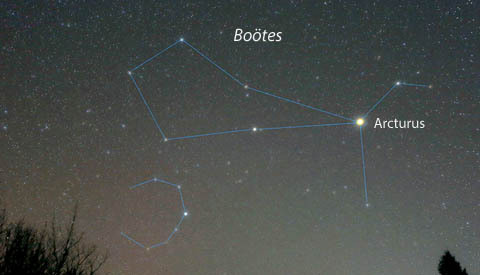 At that time you’ll find Antares to Jupiter’s lower right, and the dimmer Sagittarius Teapot a similar distance to Jupiter’s lower left. The Teapot is about the size of your fist at arm’s length. Affirmation/Thought for the Day – What you learn today will insure tomorrow’s harvest. Journal Prompt – What does this quote say to you? – When the Genie in the lamp appeared to Aladdin, he asked, “What wouldest thou have? I am ready to obey thee as thy slave….” If you could have one wish, what would it be? Explain your answer. 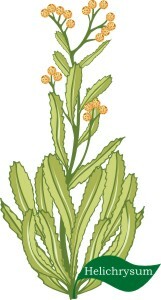 This lovely spring tonic makes good use of pesky weeds to rejuvenate the body with earth’s reawakening. Dandelions are high in vitamins, and legends claim that Hecate once entertained Theseus with dandelion water. Clean off the dandelion petals with cool water. In the meantime, warm the orange juice and lemon together, then add dandelions. 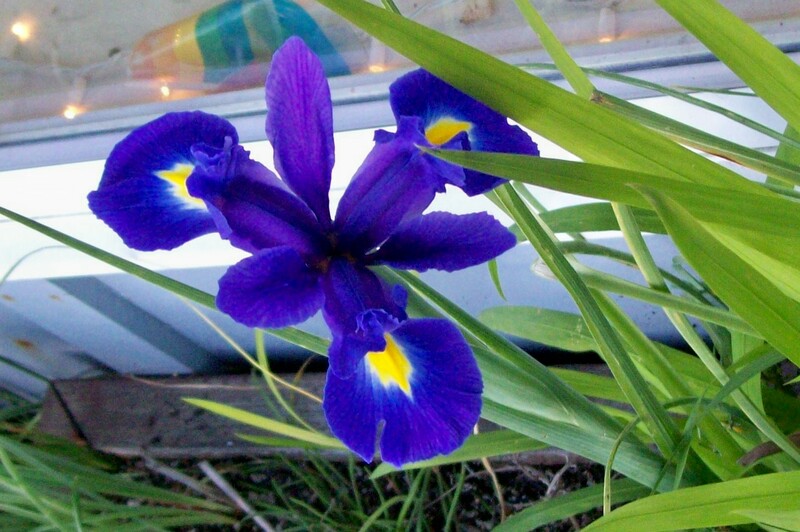 Make certain you only have petals (no green parts). Add the sugar, stirring constantly until dissolved. Add ginger ale for a light, bubbly drink. 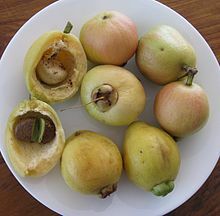 VARIATIONS: Prepare this recipe with lemonade instead of orange juice, and the juice of one orange instead of a lemon. This is a refreshing, purifying quality and, poured over crushed ice, is wonderful on a hot summer day. MAGICKAL ATTRIBUTES: divination, wind magic, wishes and goals, communicating with the Spirit world. 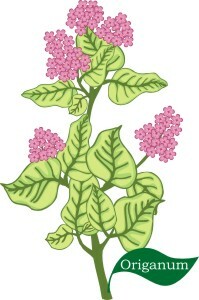 Cranberry Mint Tea – 4 Servings – This is also very good served hot. Combine 4 cups water and cranberries in heavy medium saucepan and bring to boil. When cranberries begin to pop, reduce heat to low, cover and simmer mixture until cranberries are very tender, about 10 minutes. Place 1 cup mint leaves in heat-proof pitcher or coffeepot. Set fine strainer atop pitcher. Pour cranberry mixture into strainer, pressing on solids to extract as much juice as possible; discard solids. Add 1/2 cup sugar to pitcher; stir until sugar has dissolved. Place the mint in a mug and pour the hot water over it. Use your spoon to smash the mint a bit to release the mint flavor. Stir in the chocolate extract or cocoa powder. NOTES – To make this more like a traditional hot chocolate, replace the water with unsweetened almond milk. Use a few drops of stevia to sweeten it to taste. Pour the tea into a cup. Stir the chocolate syrup into the tea. Featured photo by Ken Gagne. First Minus Tide of the cycle at 4:24 PM of -0.1 feet. Wicca 102, 6:30pm. It’s been spitty, overcast and damp, but not soggy this morning. 50F, wind at 2mph, AQI15, UV5, 0.03 inches of rain. The rain is likely to continue through the late afternoon and then this week should be mostly dry with some showers, probably on Wednesday. Sabrina’s SO’s mother has been in an accident and has serious injuries, prayers and good energy are requested. It wasn’t until mid-afternoon yesterday that I realized I had left out the main part of the astronomical info in yesterday’s newsletter, but I got it fixed. In the morning I had been working in the back on the compounding station and then later spent some time out front sorting herbs. We’re still working on stones, both stones and herbs, actually, and will be for some days. …and the first thing this morning was Notre Dame on fire…. I just can’t write any more…. I’m hurting. …but the shop is open and we’ll have 102 tonight at 6:30. 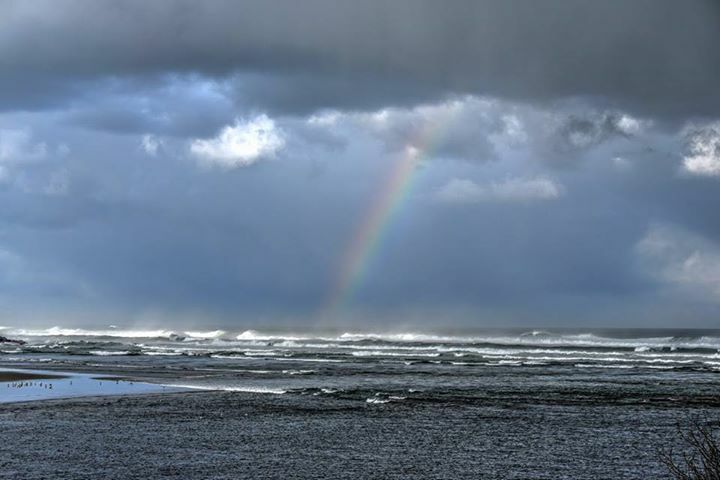 Rainbow over Yachats Bay, Ken Gagne photo from 4/14/15. 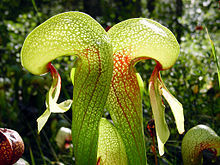 Today’s plant is the cobra lily, Darlingtonia Californica, a carnivorous bog plant, native to California and Oregon. These plants are trippy…. they eat bugs, because they thrive in such awful soil that they need a different way to get the nutrients that most plants get out of the ground! No, they don’t have any magickal uses that I know of. A good article about Darlingtonia: http://coastexplorermagazine.com/features/carnivorous-rare-and-wild-cobra-lilies The wiki article is here: http://en.wikipedia.org/wiki/Darlingtonia_(plant) and one about the wayside in Florence is here: http://en.wikipedia.org/wiki/Darlingtonia_Botanical_Wayside The wayside is worth a drive. There are good walkways just above the ground level so that you don’t hurt the plants. We used to roll Grandma’s wheelchair through there every summer at least once, because she was fascinated, too. Arcturus shines brightly in the east these evenings. 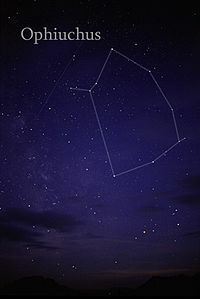 The Big Dipper, very high in the northeast, points its curving handle lower-right toward it. 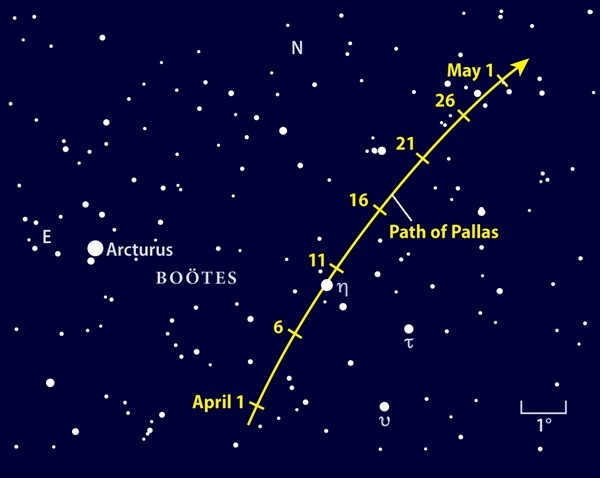 Arcturus forms the pointy end of a long, narrow kite asterism formed by the brightest stars of Bootes, the Cowherd. The kite is currently lying on its side to Arcturus’s left. The head of the kite, at the far left, is bent slightly upward. The kite is 23° long, about two fists at arm’s length. Mars (magnitude +1.5, in Taurus) glows in the west after dusk. Start with Orion in the west-southwest, and look to the right from there for the orange pair of Aldebaran and Mars. Mars, slightly dimmer, is the one on the right or, later in the week, upper right. They remain about 7° apart. Compare the colors of these two similar-looking, but utterly different objects. To me Mars looks very slightly redder. And remember — nowhere in human experience but astronomy are things so different than they appear. Moon in Leo enters Virgo at 3:14am. Affirmation/Thought for the Day – Be thankful for each and every morning. Enjoy life and worry not about things that wouldn’t matter in 10 years anyway. Journal Prompt – Which? – Which is least important to you—money, power, fame—and why? Aye, till I come home again. Aye, to fetch thee home again. Aye, and I’ll come home again. Featured photo by Girl in Water Photography. Minus tides start tomorrow. House Capuchin Project Day 1-5pm. It’s grey and dampish, but drying out this morning. 49F, wind at 3mph, ASQI18, UV6. Pollen’s getting bad. The level is high today, even with the rain. According to the computer we’ve got showers, and the whole computer plot is green. Hmm… There’s a solid chance of rain tomorrow, mid-day, but the rest of the week looks mostly dry. Yesterday’s Herbs Workshop went well. The two of us processed a lot of stuff, but the other 3 people didn’t show. I spent awhile afterwards on rocks again. Eventually Tempus took the obsidians that needed to be scrubbed and got ’em into a bucket with water, to soak. It had started raining during the workshop time and kept on for the rest of the day, sometimes harder, sometimes not, but leaving puddles all the time. No one was in for the sewing workshop, so I went in back and got a nap before coming back out and working on the sewing project that I had planned on and then went back to my rocks. …and finally finished with those at about 8pm. Tempus was scrubbing obsidians at that point. He didn’t finish, but got a long way down the road. There’s one bucket-full that was already scrubbed and labeled, and almost all of the rest are put away. Today the shop is open, and in the afternoon is House Capuchin’s Project Day. The gibbous Moon shines upper right of Regulus this evening. The huge, bright Winter Hexagon still fills the sky to the southwest and west at the end of twilight. 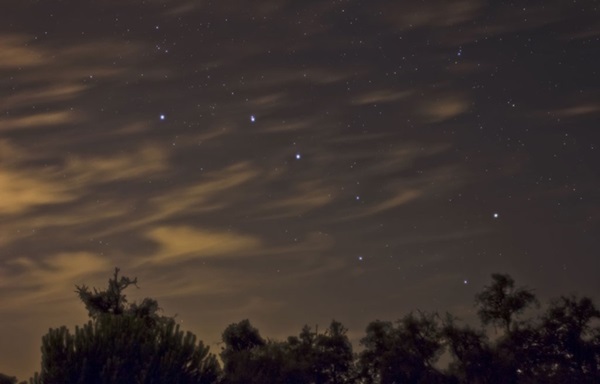 Start with brilliant Sirius in the southwest, the Hexagon’s lower left corner. 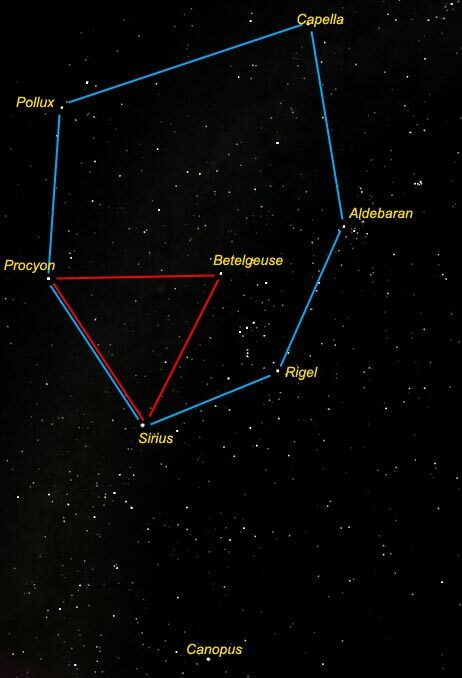 High above Sirius is Procyon. From there look even higher for Pollux and Castor, rightward from Castor to Menkalinan and bright Capella, lower left from there to Aldebaran, lower left to Rigel way down at the bottom of Orion, and back to Sirius. 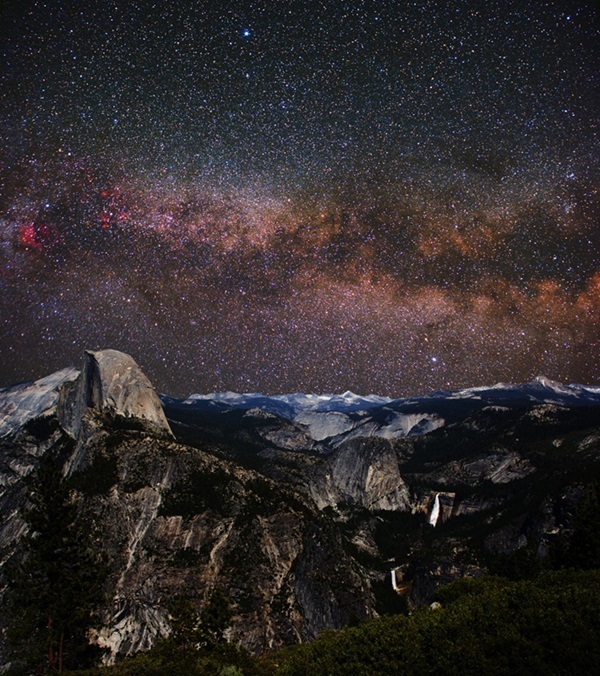 The annual Lyrid meteor shower begins today. 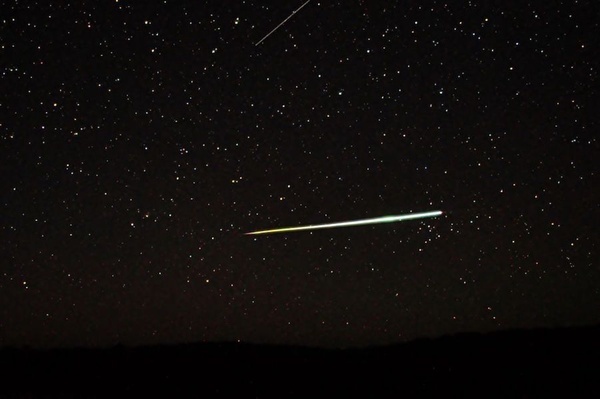 Although the shower won’t peak until the morning of April 23, you should see a few meteors in the predawn hours before then. 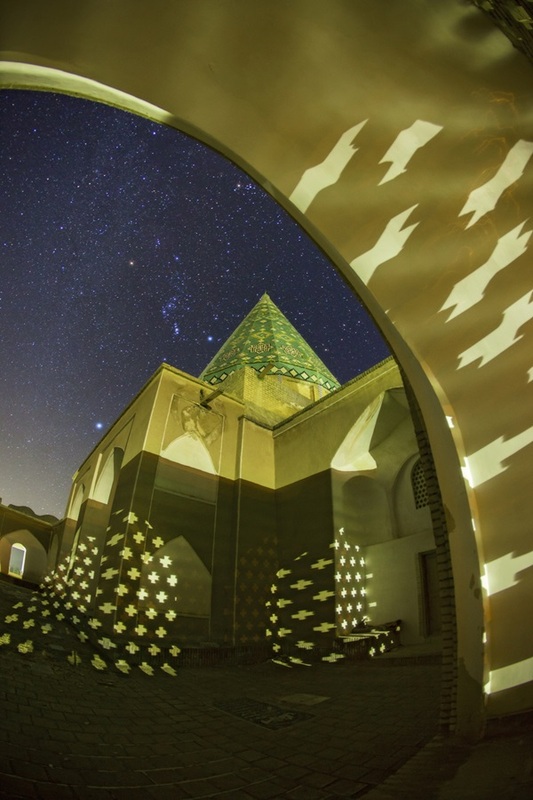 To tell a Lyrid from a sporadic meteor, trace the streak of light back to its origin. 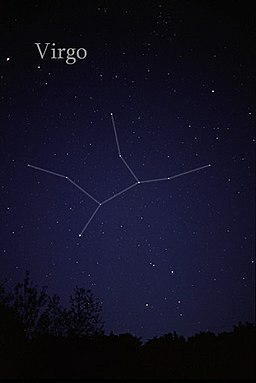 Lyrids appear to come from the constellation Lyra the Harp, while sporadics appear at random and can come from any direction. Affirmation/Thought for the Day – Giggle with Children. Journal Prompt – What? – What or who is the greatest love of your life? ~ Criswell: Greetings, my friends. We are all interested in the future, for that is where you and I are going to spend the rest of our lives. And remember, my friends, future events such as these will affect you in the future. All these graphics were either made by me or acquired at Silverhair’s Borders (site now dead). Take the heavy cardboard and cut a circle about 1 nad 1/4 inches larger than the diameter of the cardboard tube. Next use the glue to attach the cardboard tube to the cardboard circle. Let it dry. Next you paint the card tube and the circle, spring colours are wonderful for this and let it dry. Take three to four pieces of the crepe papers and run them lengthwise up the tube. Cut in half, legnthwise. Next you will glue the crepe paper strips to the top inside of the cardboard tube in alternating colours. Gather some small stones to put in the bottom of the tube so it will not tip over. Decorate the top with flowers and more crepe paper. Yesterday, my kids and I made a miniature version of a maypole, not only to honor Beltane, but to share with them a part of my heritage, as I grew up in Bavaria, in which rural parts the tradition of putting up a large maypole is still alive and practiced today. As I grew up, my cousin and I used to practice singing songs for this occasion – I wish that I would have kept the sheet music from back then, but we were pre-teens, keeping momentous where not our priority. Back to now, and our mini maypole. Creating this maypole was fairly simple, cheap, and lots of fun. a dowel that fit snugly into the hole of the flower pot – using a hot glue gun to secure the dowel in place, instead of fitting it into the hole is also an option, but I happened to find one, that fit perfectly into the pot. Glass beads, rocks or sand to fill the pot and secure the pole. and ribbon, depending on the size of the pole – you will need enough ribbon to tie each strand on the top, and long enough that it will go the entire length of the pole, maybe even reach the floor. After we secured the dowel in the flowerpot, we filled the pot to the top with glass beads. We used really colorful ones, to correspond with the flowers we choose. Next, we tied ribbons around the top of the dowel, securing them tightly, and glued a little daisy, that we had left over from another project to the front. The flowers were then arranged in the flowerpot, stuck securely into the glass beads, all the way around the pole. You can get creative and paint the flower pot first, or even the pole (I like the look of natural wood, the best, personally, lol). Use the time of creating this pole together to talk about your practice and personal belief, as well as experiences about Beltane. You can also put on some fierce or traditional music, and practice dancing around it! P.S. 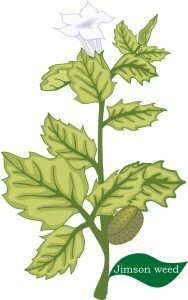 For creative pagan, wiccan and new age products and ideas, visit us at http://www.hecates-corner.com . Featured photo by Ken Gagne. Herbs at 11am. Sewing at 3pm. It’s chill and grey-looking outside, not dark, but not all that bright, either. The computer says it’s raining, but the pavement tells a different tale. There aren’t even any puddles. 50F, wind at 6mph, gusting into the low teens, AQI6, UV4. The radar plot is mostly green everywhere, but right around Waldport. 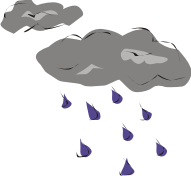 It’s supposed to rain, mostly in the middle of today, drying out a bit tomorrow, then again rain on Monday. The rest of the week looks possibly dry. Yesterday I worked on rocks pretty much all day. I took a break late in the afternoon to read the paper, and then another later, because I was getting sleepy enough that I was making far too many mistakes. I worked with customers pretty much steadily all day. I would get a batch of stones going, then someone would come in and we’d talk and they’d make their purchases, then I’ve have another block of time to sort…. Tempus got his errands run and then took the laundry to get that accomplished. Once he was back, we closed and then had some supper. Both of us napped awhile, then he got the access to the compounding station sorted out, so that we can get at some of the herbs and resins. That’s going to make a big difference, certainly for today’s Herbs Workshop, and also so I can get more stock put together. After that was done both of us sat down at our computers and stayed up *way* too late! My first job today is going to be getting out the herbs for this morning’s workshop, and I’m going to have to sweep to be able to get there. After the workshop, I’m going to have to inventory the resins that we have to figure out the order that I have to place. …and then I need to get back to the rocks! By the time for the sewing workshop I’m going to be glad to sit down with my embroidery! 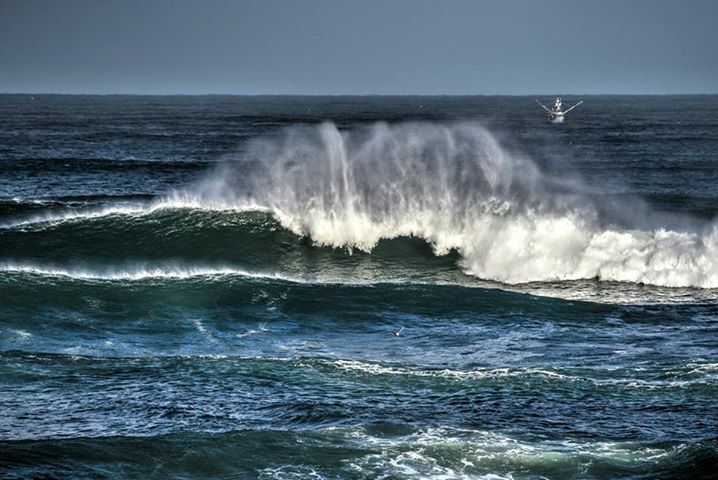 A Ken Gagne pic of the waves on 4/12/15 off Yachats. Yes, that’s a fishing boat in the distance, not a drowning robot. 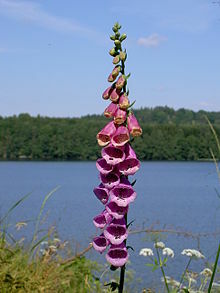 Today’s plant is Foxglove, Digitalis purpurea. 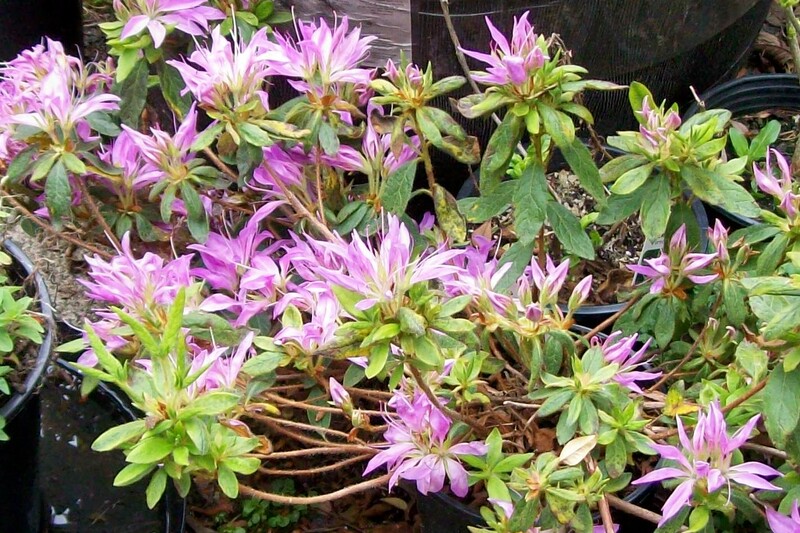 It is naturalized in the PNW, being native to Europe, not the Americas. 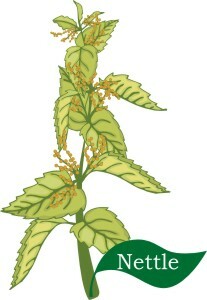 Digitalis was one of the first heart medications and was extracted from the plant and then synthesized. 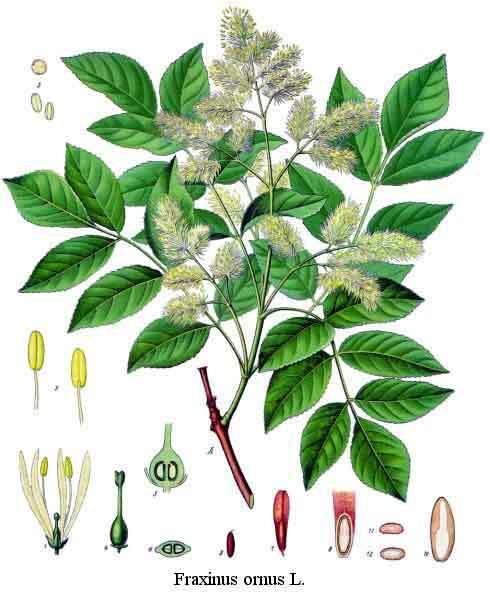 The plant is poisonous, not just because of this (too much causes irregular heartbeat), but some other chemicals. 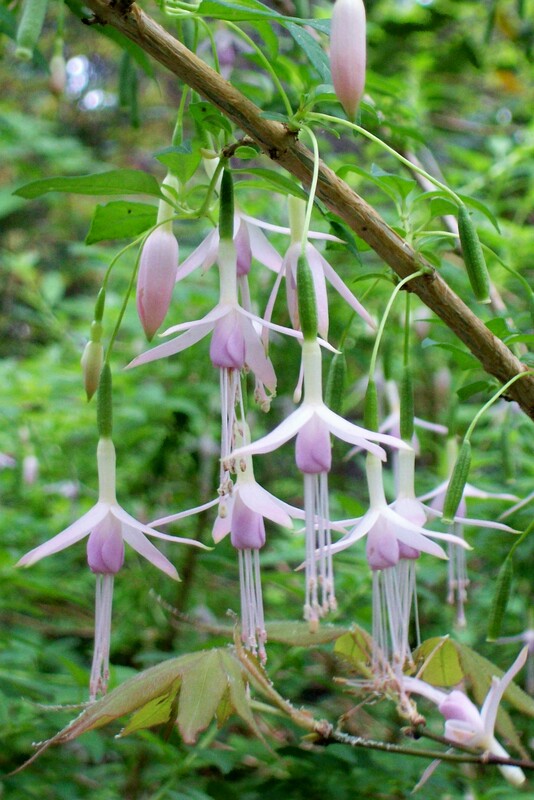 Also known as Lady’s Glove, Witches’ Gloves, Fairy Fingers, or Dead Men’s Bells. 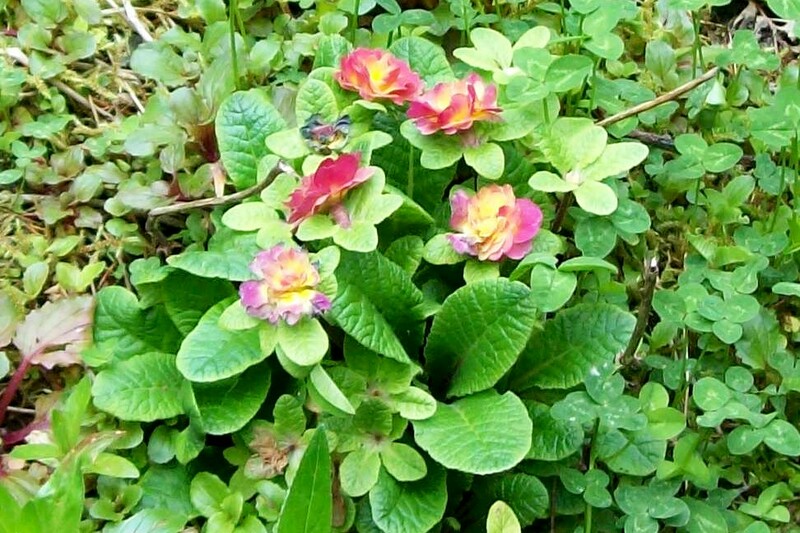 – Feminine, Venus, Water – A Druid sacred herb associated with the “little people”. 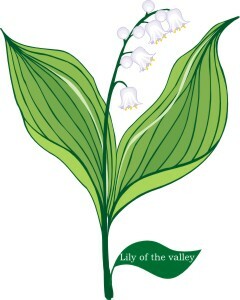 Lust, protection, decision, grow in a garden for protection of house and yard, reveals insincerity. 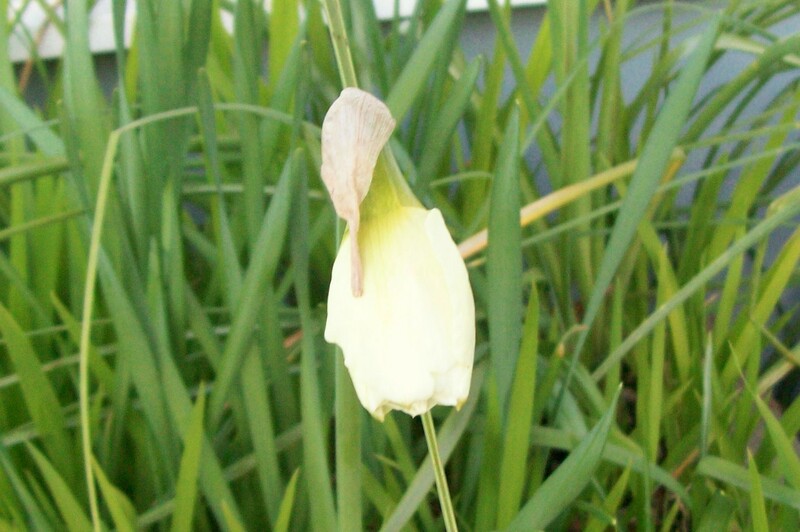 Flower meaning – a wish, “I am not ambitious for myself but for you”. Waxing Moon Magick – The waxing moon is for constructive magick, such as love, wealth, success, courage, friendship, luck or healthy, protection, divination. Any working that needs extra power, such as help finding a new job or healings for serious conditions, can be done now. Also, love, knowledge, legal undertakings, money and dreams. Phase ends at the Tide Change on 4/19 at 4:!2am. Waxing Gibbous Moon – From seven to fourteen days after the new moon. For spells that need concentrated work over a ¼ moon cycle this is the best time for constructive workings. Aim to do the last working on the day of the Full moon, before the turn. Keywords for the Gibbous phase are: analyze, prepare, trust. It is the time in a cycle to process the results of the actions taken during the First Quarter. During this phase you are gathering information. Give up making judgments; it will only lead to worry. Your knowledge is incomplete. Laugh. Analyze and filter. LOOK WITHIN. God/dess aspect: Maiden/Youth, but in the uncommitted phase, the Warriors – Associated God/desses: Dion, Dionysius, Venus, Thor. Phase ends at the Full on 4/17 at 4:12pm. 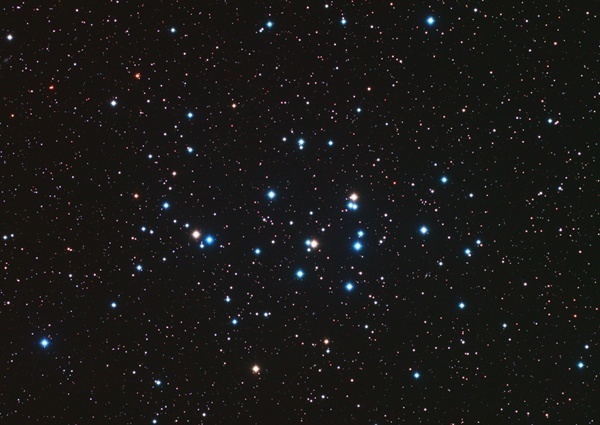 Use binoculars to look for M44, the scattery Beehive Star Cluster in Cancer, roughly 3&deg; to the right of the glary Moon (as seen soon after dark from the longitudes of North America). Moon in Cancer enters Leo at 12:50am. Affirmation/Thought for the Day – Happiness is a choice that requires effort at times. Journal Prompt – What do you think? – What do you think is the hardest choice young people your age have to make? At Yule, we saw the re-birth of the GodAt Imbolc, we saw the Goddess come into her own, so to speakand at Ostara, the God began his courtship of the Goddess. Two maturing beings, whole in their Selves, yet part of Onedestined to be re-united. Such is the case with everyone of us, their children, in more ways than one. Our world revolves around duality Light and Dark Our body and our Spirit the mind and the Heart Masculine and Feminine One of the main lessons we must learn, I feel, is to find balance within a world where duality exists. 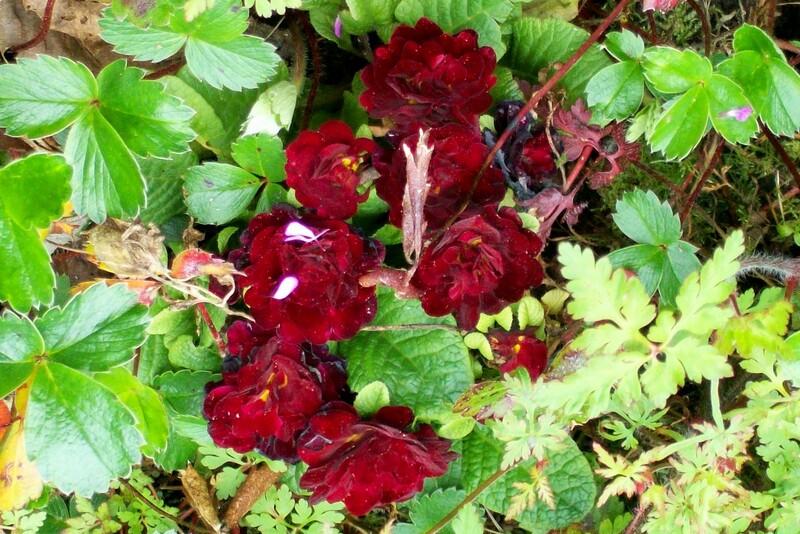 As our dear Rain so aptly put it in the Ostara issue, its all about finding a middle ground. Such is the case where the masculine and feminine energies encompassed within are concerned. By finding balance between the two, we are propelled upon the path of enlightenment, the integration of our Higher Self. It is within the right side of our brain that those aspects of our self that we consider to be feminine are found. It is said that within this area of our brain the psychic and emotional aspects of our being live. This is the part which is said to be aware of our connection to the Oneness of the Universe. This is not, however, the case with the so-called masculine part of our selves. The masculine part is, naturally, a mirror image of the feminine. Residing in the left side of our brain, it is difficult for the masculine to recognize the Oneness of the Universe. With its more analytical and logical tendencies, all it sees is separation and division, making integration and balance difficult things to achieve. How do we begin to achieve this balance? Growing up in our society, our left brains tend to become much stronger, for many of us, than our rightthe Masculine dominates the Feminine. We are taught to view the world through analytical eyes and taught that if something is not visibleif we cannot view it with our physical eyesthen it must not exist. Things of the real world are highly encouraged, while more times than not, imagination is relegated to fantasymake believeand is reduced in worth, it seems. A stock broker on Wall Street, in general, tends to make a great deal more money than the majority of artists. It is through the use of our imaginations Through meditation (quieting the left brain), visualization, and creativity that we are able to strengthen our right brains, the Feminine side of our Selves, and begin to gain balance. With Beltane, too, our minds and hearts turn to the subject of lovethe physical manifestation of Masculine and Feminine. So many I know are looking for that one persontheir equal in all thingseros (romantic love), filios (brotherly love), and agape (the connection at a soul level). Everyone seems to be searching for her/his soul mate. The One that will complete them. The words soul mate have virtually buzz words within our society, used, more times than not, as a word to describe an individuals perfect partner. What many dont realize, though, is that there are believed to be two types of soul mates. One type is generally known as a soul mate or a companion soul mate and the other known as a twin flame. A companion soul mate can be described as an individual that we have spent prior incarnations with. It is usually this category that we tend to associate with love (Eros) relationships. In all actuality, this term can be associated with anyone that we have some sort of soul connection to, including siblings, parents, good friends, teachersAnyone that has agreed, prior to incarnation, to assist us in learning a lesson or lessons that are necessary in our own souls development or those that we have incurred some sort of karmic tie to that still needs to be balanced. When you connect with a close soul mate in a loving relationship, it is said that you have, in effect, found your perfect mate for where you are currently in your development as a soul. It is a twin flame, however, that is believed to be our true other half. They are, essentially, our Selves in another body (if he/she is currently incarnated on the physical plane). It is said by some that the explanation for Twin Flames is that when we as One soul decided to descend into physicality, we were split into masculine and feminine aspects. It is believed, too, that when we first descended, that we were together, but later went on our own separate ways to experience as many diverse situations and stimuli as possible. We each grow in our Selves lifetime after lifetime in experience and wisdom, sometimes gaining brief glimpses or encounters with our Flame until the time that we are ready to break free from the bonds of physicality and mortality. It is at that point in our souls evolution that we are given the opportunity to be re-united with our other half. The chances are that we meet our Twin Flame briefly in many lifetimes, but one or both of us are not ready for the intensity of this connection. When both halves of the whole are ready to come back together and meet they will discover that in that lifetime they have lead almost parallel lives. The events of their lives will mirror each other almost exactly. They may have come from very similar families and family dynamics. They may have had similar schooling or lack thereof. They may have almost identical careers. They may even have previous marriages and divorces within weeks of each other. When Twin Flames get to know each other, they will feel as if the other is reading their life script. Keep in mind, though, this is not to say that one cannot have a wonderful and rewarding, loving relationship with a soul mate because its entirely possible. All relationships should be honored and appreciated for what is offered and the growth one is able to achieve through it. By gaining balance within ourselves, not only between the Dark and Light as we saw last issue, but through the masculine and feminine within, we prepare our Selves more, taking a step closer to the ultimate re-union that we all hope to achieve this lifetime the re-union with our own other half. Accelerates at a phenomenal rate. Has a much shorter braking distance than the private car. Can take speed humps at twice the speed of private cars. The battery, radiator water, oil and tires never have to be checked. It can be driven up to 60 miles with the oil warning light flashing. It needs cleaning less often than private cars. The suspension is reinforced to allow for the weekend loads of bricks, concrete slabs and other building material. Unusual and alarming engine noises are easily eliminated by turning up the radio. It needs no security system and may be left anywhere, unlocked and with the keys in the ignition. It is especially sand and waterproof for barbecues and fishing expeditions on remote beaches.